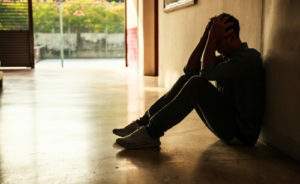 Emotional distress is one of the most difficult things a person can suffer from and it is usually caused by an extreme event in life, such as intentional harm or an accident. Emotional distress can cause a person to suffer depression, suicidal thoughts, self-guilt, panic, anxiety and more. If the emotional distress has led the victim to suffer physical harm then their case will be very easy to prove. However, most causes involve only emotional hurt, which makes it much harder to prove negligence by the person who caused the event that triggered the problem. When Can I Sue for Emotional Distress in New Jersey? There are two groups of people when it comes to suing and recovering for emotional distress: the fragile class and the eggshell plaintiffs. The fragile class contains people such as the elderly, children, and pregnant women. This group is more likely to recover damages for emotional distress than any other group. The eggshell plaintiffs are those who are normally very sensitive in everyday life. As you might imagine it can be difficult to prove emotional distress, especially if you did not suffer any physical harm that can be seen and quantified. You will need to provide plenty of supporting documents from your physician, therapist, and psychologist that show you have been harmed emotionally because of some event in your life. This includes being diagnosed with post-traumatic stress disorder and that you need continuing care for your emotional issues. Proving that the actions by the defendant were outrageous and extreme can be challenging. You will need to show that a reasonable plaintiff would have viewed the actions as the same, including that it was uncivilized and unacceptable. Again, proving emotional distress takes a lot of evidence on the part of the plaintiff when filing a lawsuit. Be sure you seek the help of an experienced attorney so that your case can be as strong as possible when it heads to court. Did you or a loved one sustain serious injuries and are suffering emotional distress in New Jersey? Don’t let the bills pile up while you wait for the negligent party, or their insurance company, to do the right thing. Right now, you need an aggressive personal injury attorney on your side, fighting to get you the compensation you need, want, and deserve. The skilled attorneys at Blume Forte Fried Zerres & Molinari represent clients with emotional distress in Middletown, Hoboken, Parsippany, Mount Olive, and throughout New Jersey. Call (973) 635-5400 or email us to schedule a free consultation about your case. We have an office conveniently located at One Main Street, Chatham, NJ 07928, as well as offices in Jersey City, Sea Girt and North Bergen.